LTF Pre-Conference Workshop 2017 "Introduction to the construction and analysis of questionnaire data using latent variables"
The first LTF pre-conference workshop was held on Friday, Nov 24, from 10.30 to 17.00 and was facilitated by Dr Karen Dunn (British Council). A detailed description of the workshop on constructing and analysing questionnaire data using latent variables can be found below. Language assessment research is increasingly interested in exploring the role of individual difference variables, focusing on constructs that are not directly observable. Examples of individual difference variables in language learning contexts might include motivation, anxiety, and willingness-to-communicate, amongst others. This workshop presented some best-practice approaches for collecting and analysing data of this nature. Some of the possibilities that exist for linking this to achievement were also discussed. The statistical technique employed during the workshop was factor analysis, both exploratory (EFA) and confirmatory (CFA) approaches. Use of the statistical software Mplus was introduced, including how to format the data, set up basic models and interpret the main elements of the output. Participants were not required to have any prior experience of either factor analysis or Mplus in order to take part. Dr. Karen Dunn is a Senior Researcher in measurement and evaluation at the British Council. She holds a PhD in Applied Social Statistics and Masters in Language Studies. The focus of Karen’s PhD research was on using Explanatory Item Response Theory modelling approaches to investigate word difficulty for L2 learners of English. Karen has delivered a number of short courses for the Postgraduate Statistics Centre in Lancaster on Factor Analysis and Structural Equation Modelling, and has also contributed to both face-to-face and online postgraduate statistics courses for both the Linguistics and Psychology departments at Lancaster University. 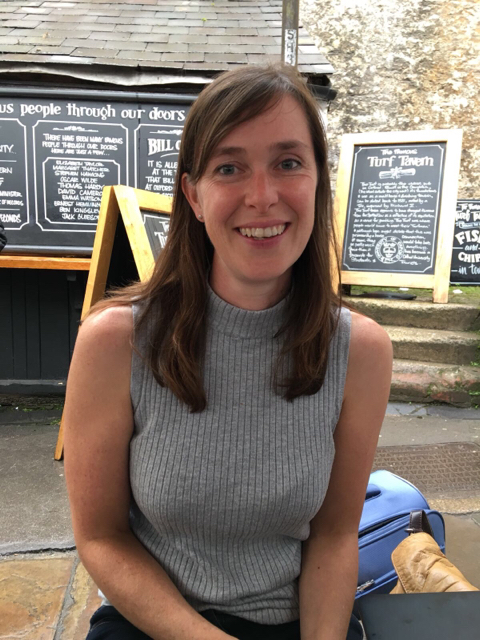 Her current research interests involve looking into the scoring validity of reading reordering tasks, investigating the factorial structure of a test to assess grammar and vocabulary, and linking motivational profiles of teenage language learners to proficiency outcomes.